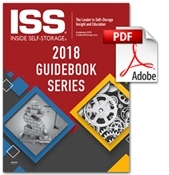 Your purchase of Storage World Analyzer includes online access to the software from which you will be able to run an unlimited number of detailed, printable reports. This is NOT a downloadable software program, nor is it available on disc. Self-storage investor Mark Helm created Storage World Analyzer to help him better examine potential deals on existing storage facilities or land purchases. He spent a dozen years improving the program for personal gain prior to making the cloud-based program available to other investors and operators. 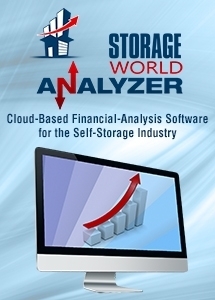 Use of Storage World Analyzer does not guarantee investment success. Its usefulness as an analytical tool is predicated on the accuracy of the data put into the system. Industry averages may be used to generate initial reports and then replaced with more accurate assumptions collected during due diligence to assist with projections. Mark Helm, CCIM, is a commercial real estate agent who started working with REITs in the mid-1990s to locate and purchase self-storage properties. As he learned the business, Mark struck out on his own to invest in self-storage and purchased his first project at the beginning of the 21st century. Through trial and error, he created a strategic system of analyzing and buying storage property, and today is working toward a goal of building a $60 million portfolio. 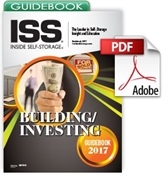 Mark is also the author of “Creating Wealth Through Self-Storage,” which is available through the ISS Store in softcover and digital PDF format.